Make sure the camera system is watertight before you get the system wet! Compared to the previous E-M1, and all other Olympus Micro Four Thirds cameras, the E-M1 II is an improvement in every way. The new 20MP Live MOS sensor provides a useful bump in resolution. Dual quad-core processors combine to allow 60 fps burst shooting (18 fps with autofocus). An incredibly advanced autofocus system (121 focus points covering 75-80% of the frame) grabs subjects instantly without hunting, and doesn't let go when tracking. It takes more than just headline grabbing specs on paper to make a great underwater camera system, and the E-M1 Mark II does many of the less obvious things right. The 2x2 dial and button structure doubles the functionality of the control dials and assignable push buttons. Typically these dials control shutter speed and aperture when shooting in manual mode, but with a flick of the 2x2 lever they are reassigned to other parameters (like ISO and Exposure Compensation, as an example). The control dials provide the easiest way to access frequently used camera settings directly, and Olympus has doubled their usefulness! It seems to be a trend among camera makers to sacrifice battery life and handling in an effort to to reduce overall size. Olympus didn't make this mistake with E-M1 Mark II. The substantial handgrip provides exceptional handling, even with larger lenses, and makes space to accommodate a large battery that offers an exceptional 440 shots per charge (based on the CIPA rating, and many more are likely in real-world use). A camera of this caliber deserves an exceptional underwater housing. Five and a half years ago, Nauticam entered the Micro Four Thirds underwater housing segment. 17 housing models later, Nauticam is proud to have produced more mirrorless underwater camera housings than any other manufacturer. 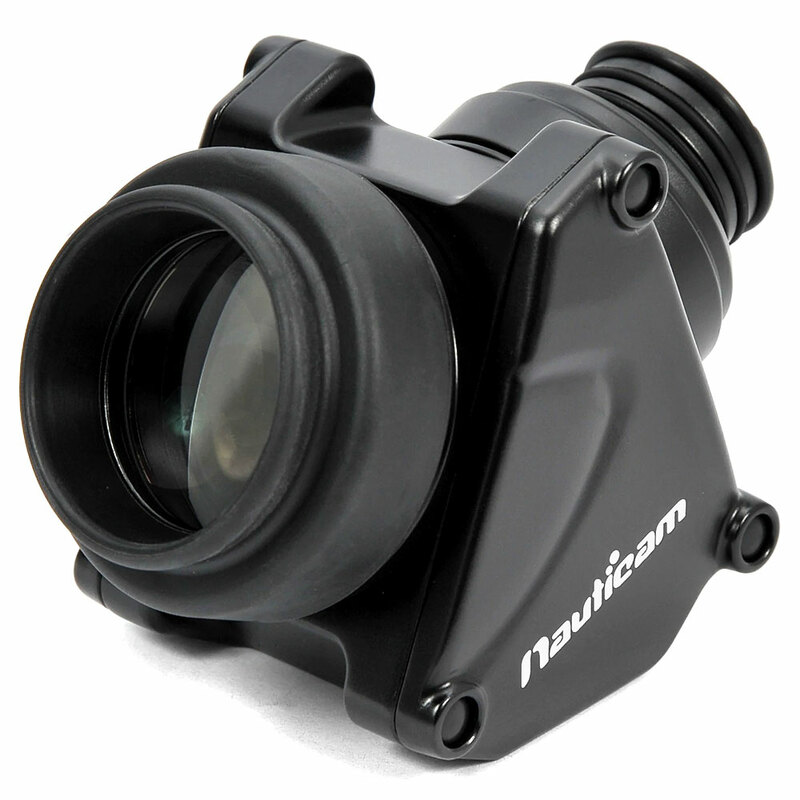 The Nauticam NA-EM1II isn't a new design, it is a refinement of the housings that have come previously. The system is field tested, and underwater photographer approved. The housing is small, but not at the expense of functionality or ergonomics. Integrated handles provide a sturdy and comfortable base to operate the system from. An ergonomic shutter release lever, thumb lever for AE-L / AF-L, and well placed control dials provide the same operational feel as any Nauticam DSLR housing. Control buttons are placed within easy reach of the handles, with sufficient spacing to allow easy operation, even by feel. The ergonomic experience of this system is clearly influenced by Nauticam DSLR systems, with class-leading control access and feel. More than just good-looking, this is a rugged housing, ready to tackle thousands of hours of underwater abuse. Crafted from solid aircraft aluminum, the housing can reach depths of 100m with ease. The secure single rotating housing latch opens the housing back. The camera drops in easily. The rear mounted housing o-ring makes maintenance simple. Dual fiber optic synch ports are standard and take advantage of the camera included FL-LM3 flash for strobe triggering. To make the most of the E-M1 Mark IIs excellent electronic viewfinder (EVF), Nauticam allows for installation of the acclaimed 45° and 180° magnified viewfinders, providing the ultimate in composition and focus ability. 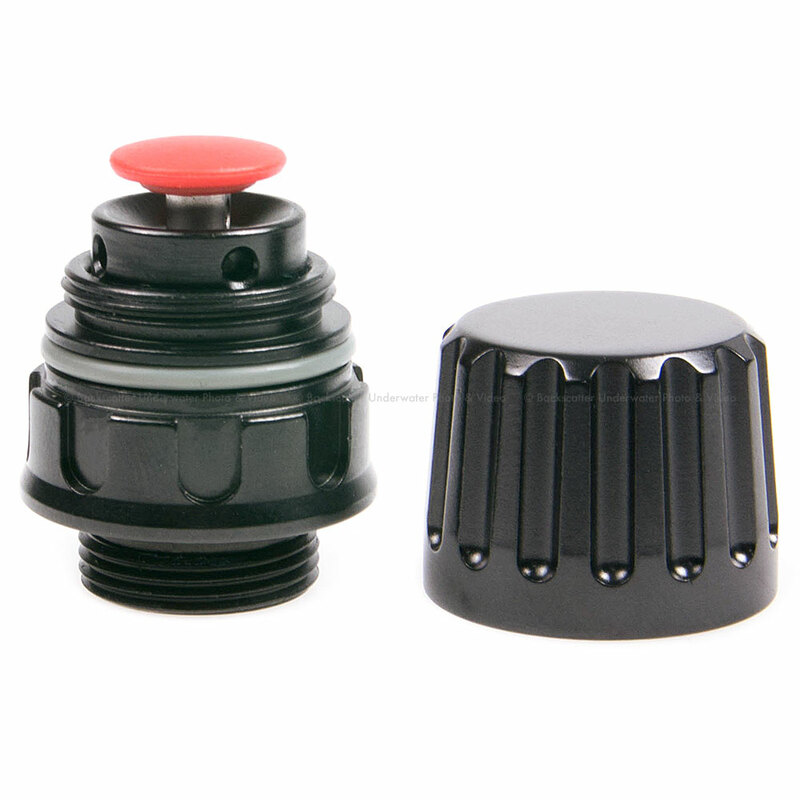 Circuitry included as standard equipment provides constant monitoring of watertight integrity when combined with an optional Nauticam M14 Vacuum Valve (PN 25624). Green means safe to dive! Handle support brackets are included with the housing, providing a solid "wobble-free" attachment base to shoot from, even with heavy lighting systems. Multiple lanyard attachment points are included in the brackets. WWL-1 is mounted via a quick change bayonet system (67mm PN 83213 or 77mm PN 83215) that allows fast and easy one-handed mounting and removal. An optional lens caddy provides a place to park the WWL-1 lens when not in use. 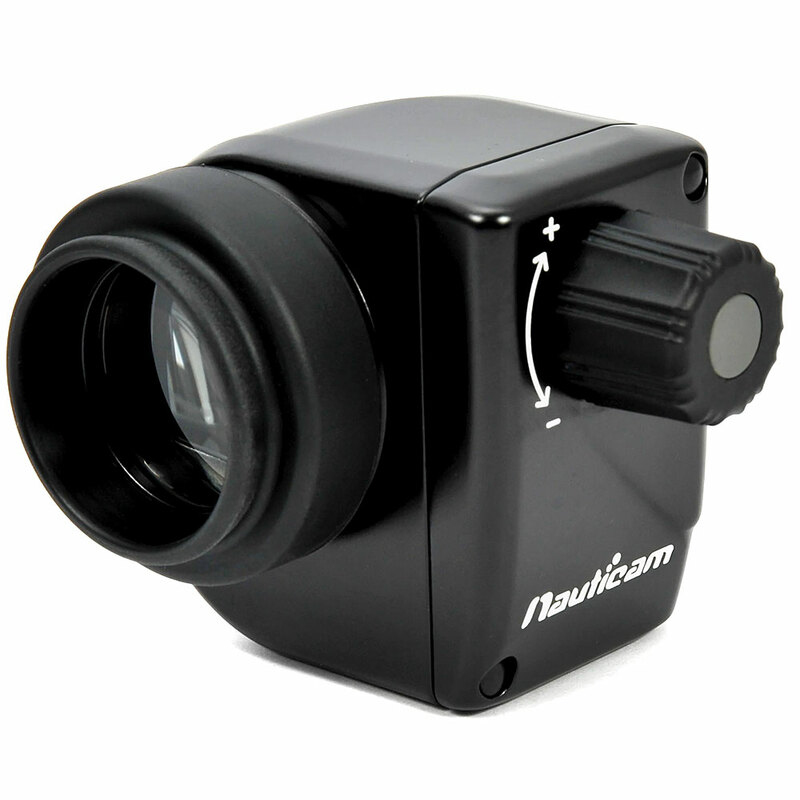 For closeup and macro work, the Nauticam Compact Macro Converter (CMC-1, PN 81301) allows images smaller than 1" wide to be captured. Ultra-wide, mid-range and macro imaging capability, all on the same dive! Panasonic Lumix G Fisheye 8mm/F3.5: This 180° fisheye lens focuses close and is razor sharp. Combines with a small port, there is no better CFWA (close focus wide angle) option on the planet. Panasonic Lumix G Vario 7-14mm f/4.0 ASPH: The 7-14mm is a rectilinear lens, ideal for shooting people or sharks or wrecks... subjects where the fisheye distortion is not welcome. On the wide end, this lens 114° wide, ideal for getting close to subjects to reduce the amount of water shot through. But a zoom gets to 75° - ideal for reaching out to that subject that is a little more skittish. The very similar Olympus M.Zuiko Digital ED 9-18mm f/4.0-5.6 can serve the same basic role at a lower cost. M.ZUIKO DIGITAL ED 8mm 1:1.8 PRO and M.ZUIKO DIGITAL ED 714mm 1:2.8 PRO provide upgraded performance with faster maximum aperture, and are fully supported by the Nauticam port system. A clear view for fine focus and composition is critical for successful underwater photography, and nothing beats a magnifying viewfinder. These viewfinders use distance, not closeup vision, and provide a large, clear view of the high resolution Olympus electronic viewfinder. Available in angled 45° (PN 32205) and Straight (PN 32204) formats, both viewfinders have external dioptric adjustments for dialing in perfect correction matched to the photographer's eyesight. 45° and 180° Magnifying Viewfinders provide a large, clear, corner-corner view of the Olympus 2.36 mdot LCD Electronic Viewfinder. 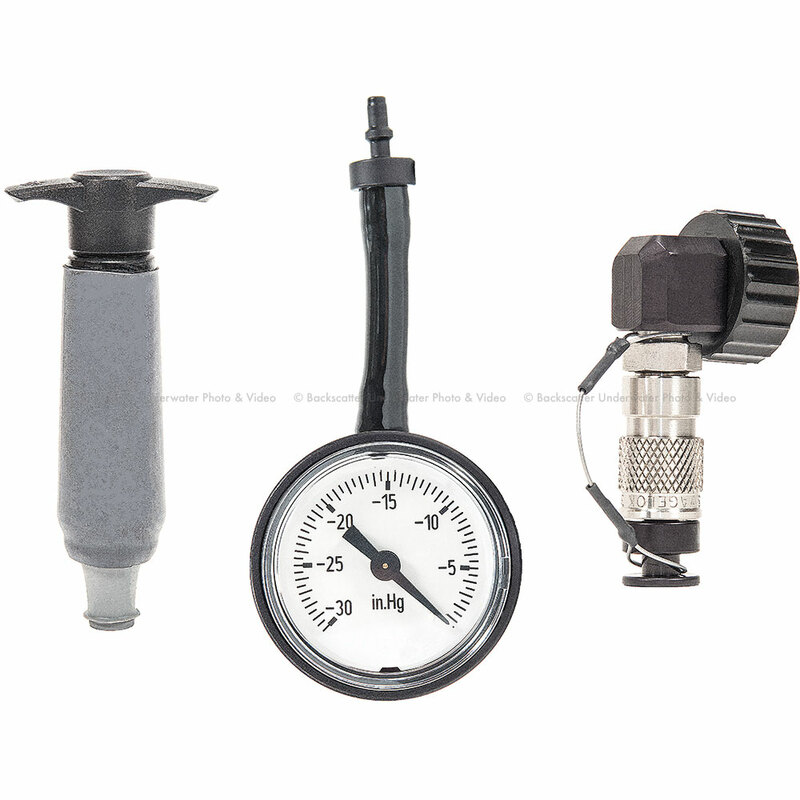 The Nauticam vacuum check and leak detection system is available with NA-EM1II as standard equipment. Combined with an optional vacuum valve (PN 25624), this monitoring system provides constant updates on the watertight and safe-to-dive status of the housing. A simple coded LED lighting system lets the user know that the vacuum is solid, or that the housing is losing vacuum. Leak detection is built into the same circuit, so if there is water intrusion, an audible and visual indication will occur. Reliable automatic flash exposure is available with the NA-EM1II and a variety of optically fired flashes. The Inon Z-240, D-2000, S-2000, and Sea & Sea YS-D1/YS-D2 strobes provide automated lighting, precisely reproducing the cameras FL-LM3 flash at a proportionally greater intensity. This system yields accurate automatic TTL flash performance even in manual exposure mode - with no electrical sync cables to flood! 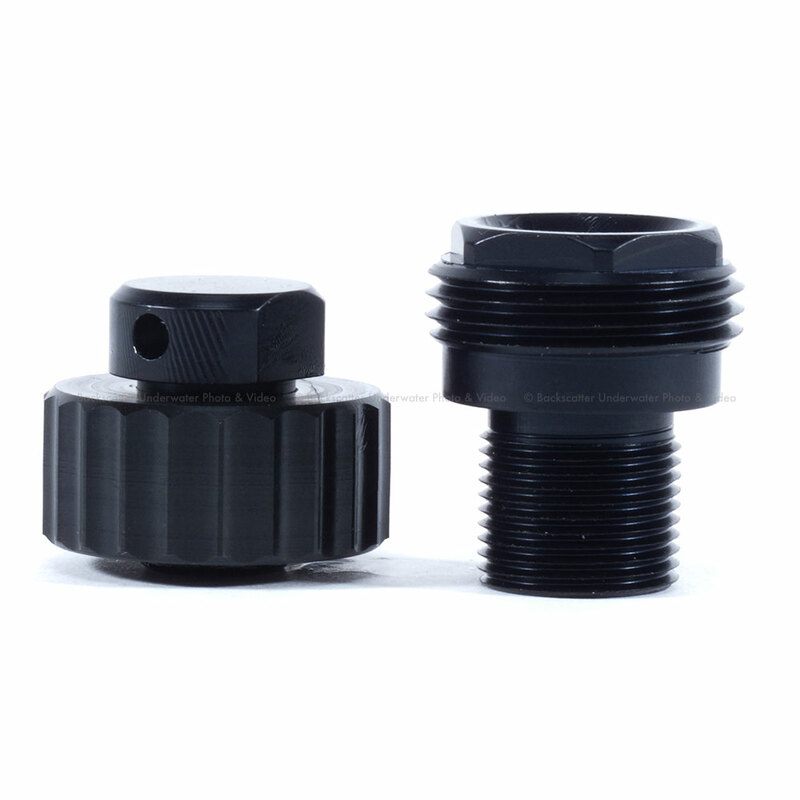 The NA-EM1II comes fiber optic ready and accepts standard Sea & Sea style bushing connections. Nauticam Fiber Optic cables, available for both Inon and Sea & Sea strobes, provide exceptional light transmission for accurate TTL performance.